Timothy Rooney, a partner in Winston & Strawn LLP’s Litigation Department, practices major complex litigation matters. Mr. Rooney has represented large corporate clients in numerous government and internal investigations involving highly sensitive corporate matters, including grand jury and Board committee investigations. 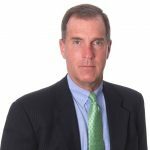 A veteran of numerous civil jury trials, appellate proceedings, and corporate internal investigations, Mr. Rooney also has handled Lanham Act matters, as well as several major bankruptcy court litigation proceedings, including a $60 million adversary proceeding for Standard Chartered Bank. Mr. Rooney is Past Chairman of the Board of Trustees of Fenwick High School, where he is the longest-serving Board Chairman in Fenwick’s 80-year history. In 2008, Mr. Rooney was elected to the Fenwick High School Hall of Fame. Mr. Rooney also has served on the Dean’s Advisory Committee for the University of Notre Dame Law School since 2000, where he teaches in the trial advocacy program at the Law School.